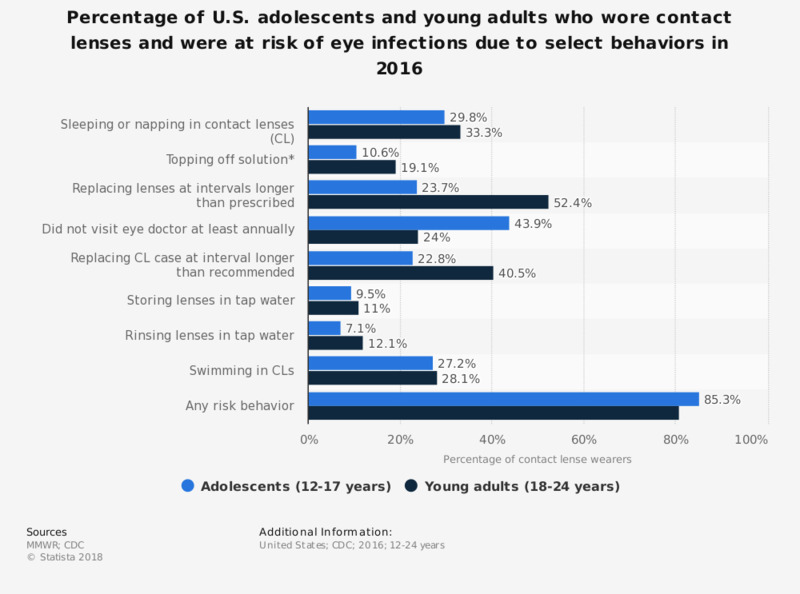 This statistic shows the percentage of contact wearing adolescents (12-17 years) and young adults (18-24 years) in the United States who practiced select behaviors that put them at risk of eye infections, as of 2016. According to the data, 23.7 percent of contact wearing adolescents replaced their contact lenses at intervals longer than prescribed, putting them at risk of developing eye infections. * Adding new solution to existing solution in the contact lens case instead of emptying and cleaning the case before adding new solution. Do you use glasses or contact lenses? Who do you want to travel with the most?